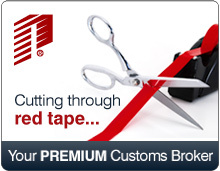 Importing Vehicles into the United States | Pacific Customs Brokers Inc. Whether you are starting a car importing business or simply considering the possibility of importing cars for personal use, you need to be very skeptical of your foreign car dealer or private seller when you are trying to determine if the vehicle meets USA standards or whether their claims that it can easily be brought into compliance are based on facts or their eagerness to sell you their vehicle. Vehicle accompanies you on your return trip. The vehicle is being imported for your personal use. You acquired the vehicle on the journey you are returning from. Both the Department of Transportation and the Environmental Protection Agency advise that although a nonconforming car may be conditionally admitted, the modifications required to bring it into compliance may be so extensive and costly that it may be impractical and even impossible to achieve such compliance. Moreover, under Federal Regulations 49 CFR parts 591 through 594, effective January 31, 1990, some vehicle models are prohibited from importation. It is highly recommended that these prohibitions and modifications be investigate before a vehicle is purchased for importation into the United States.